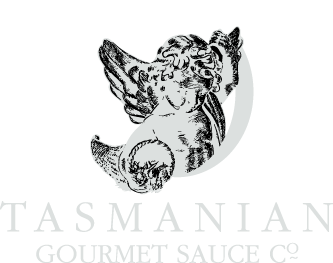 Need more information about the Tasmanian Gourmet Sauce Company? Yes, all of our tastings in the Tasting Room are free. Feel free to call in to taste our range. Is there parking available when we visit? Yes, parking is available in our car park for vehicles. RV's and caravans are best parked at the entrance, a very short walk from the tasting room. Yes, the Tasmanian Gourmet Sauce Company is a favourite stop for bus tours and groups. To ensure the best possible service, we do appreciate being given notice before the arrival of large groups if possible. Yes, you can purchase the entire range of Tasmanian Gourmet Sauce Company products online on this website! Are the products available in bulk for restaurant use? Yes, a number of local, interstate and international restaurants, resorts and hotels use Tasmanian Gourmet Sauce Company products. Everywhere! We can organise shipping for your favourite Tasmanian Gourmet Sauce Company products to all corners of the globe!